Back Bay Books, 9780316012836, 416pp. The third installment in Kate Atkinson's wildly beloved series of Jackson Brodie Mysteries: a complex tale of murder, coincidence, and connected lives. These three lives come together in unexpected and deeply thrilling ways in the latest novel from Kate Atkinson, the critically acclaimed author who Harlan Coben calls "an absolute must-read." Kate Atkinson lives in Edinburgh. Her first novel, Behind the Scenes at the Museum, was named Whitbread Book of the Year in the U.K. in 1995, and was followed by Human Croquet, Emotionally Weird, Not the End of the World, Case Histories and One Good Turn. 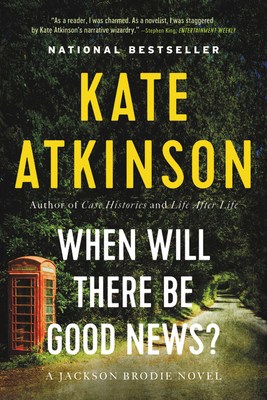 "Uncategorizable, unputdownable, Atkinson's books are like Agatha Christie mysteries that have burst at the seams-they're taut and intricate but also messy and funny and full of life."